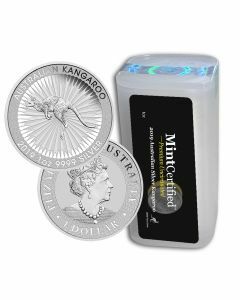 Since 2007, Perth Mint has enthralled the world with gorgeous silver coins released under the Koala Silver Coin program. 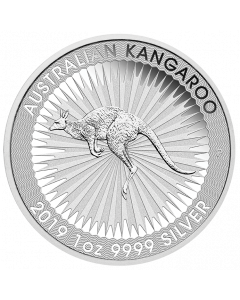 These 2019 1oz Perth Mint Koala Silver Coins continue this annual affair with a brand-new design featuring the iconic Australian marsupial. 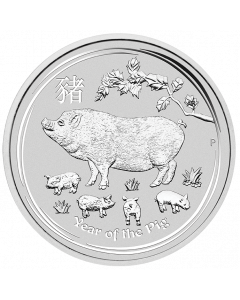 The Koala Coin program from Perth Mint with annually changing reverse designs is focused on one of Australia’s most famous marsupials – the Koala. Although these animals are sometimes mistaken for ‘bears’ or a type of bear, they are not bears at all. Instead, they are pouched mammals, similar to the Kangaroo. Each of these coins contains 1 troy ounce of 0.9999 pure silver. Moreover, they're assigned legal tender status by the Australian Government, with face values of $1 (AUD) each. The name of this series is derived from the beautiful imagery on the reverse of this coin. It features the adorable Koala, gracefully seated atop a majestic Eucalyptus tree, one of its most preferred natural habitats. The purity and weight of the pure silver in this coin are inscribed neatly around this side as well. On the other hand, the ‘IRB’ legend underneath Queen Elizabeth II’s right-profile effigy honors the creator – Ian Rank-Broadley. In fact, this design is not only well known, it is also featured on all Australian legal tender coinage. 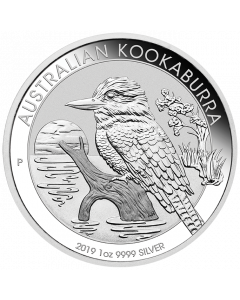 These 2019 1oz Perth Mint Koala Silver Coins will make valuable additions to your precious metals portfolios, while allowing you to maintain a complete set of coins released under the Koala Silver Coin program.